Last weekend I woke up to the sound of Ella Bean humming and singing her monkey song. 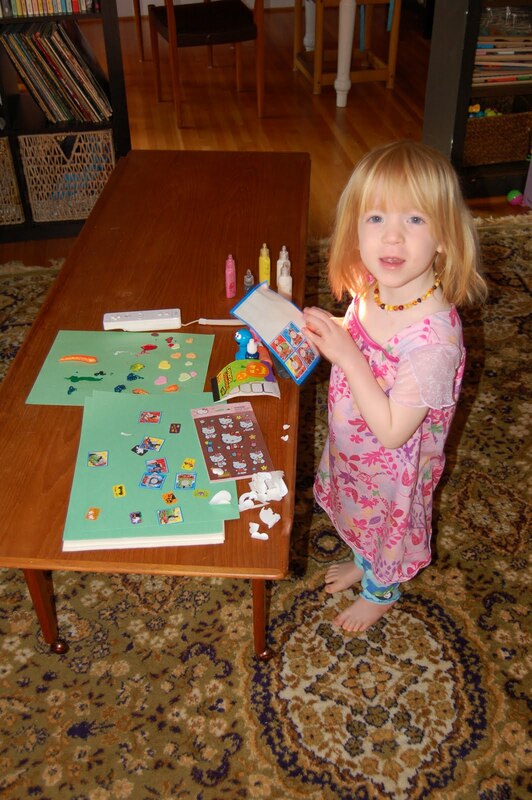 When I cam out to the living room to follow the sound she was all set up at the coffee table and told me "I am making crafts mom." She had decided she needed to make cards for her friends. Oh Bean, my little crafter. Just like mommy. Perhaps she will also spend her Friday nights at Kinko's!